Sterling silver accent rings and bead. John Hardy men's bracelet from the Legends Collection. Sterling silver Naga dragon head and push-lock clasp. 8mm eagle eye beads. 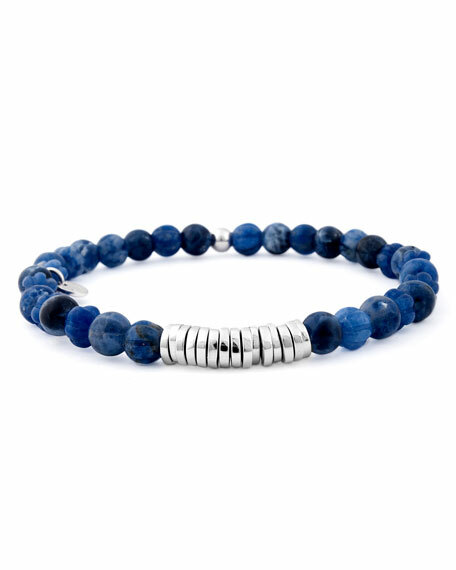 John Hardy men's bracelet from the Legends Collection. Sterling silver Naga dragon head and push-lock clasp. 8mm eagle eye beads. 8mm volcanic beads. Blue sapphire eyes. Handcrafted in Thailand.